Danville’s Village Mall Shopping Center is losing one of its long-time anchor stores. Sears has announced it will close its Danville store before Christmas. The company says it will cease its retail operations in Danville in early December. Sears is closing underperforming stores across the United States. The store in Danville has just over 60 employees. The company says they will be eligible for severance pay and can also apply at other Sears or Kmart Stores. 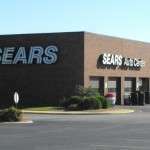 In addition to Sears, other key stores located at the Village Mall are Burlington, Carsons, Ross, Dunham Sports, and County Market. Sears closed stores earlier which were located in Champaign and in Crawfordsville and Lafayette, Indiana. The Danville store has been a staple at the Village Mall since 1990 after it relocated there from the downtown area.